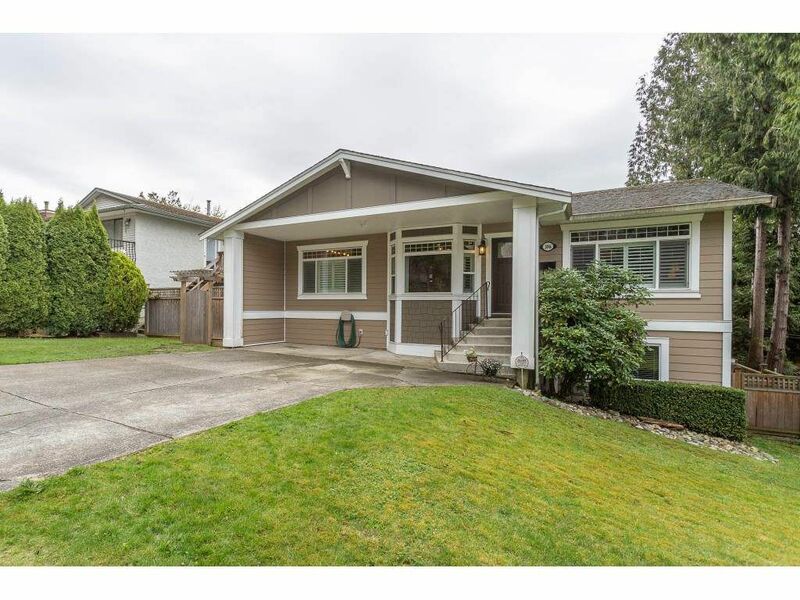 Welcome home to popular Glenn Mountain of East Abbotsford! You are going to love this 5 bedroom and three bathroom rancher with walk-out basement. Find on main floor a nice open flow including separate family and living rooms centered by a beautiful kitchen with eating bar. Also on main, three bright bedrooms with two updated bathrooms plus access to covered deck. Fully finished basement features two more bedrooms and massive rec area making a perfect space for children, media area, etc. Enjoy the fully usable and fenced backyard with full South exposure. Lots of updates to enjoy here! Desirable Yale Secondary school catchment with a short walk to schools, shopping, transit and more. We invite you to view this home!